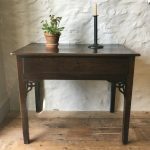 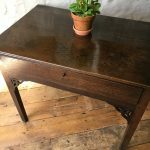 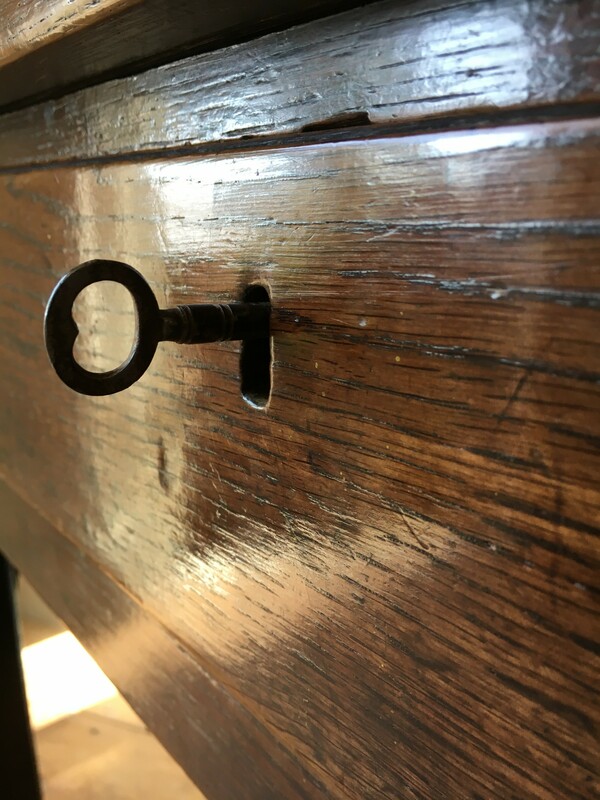 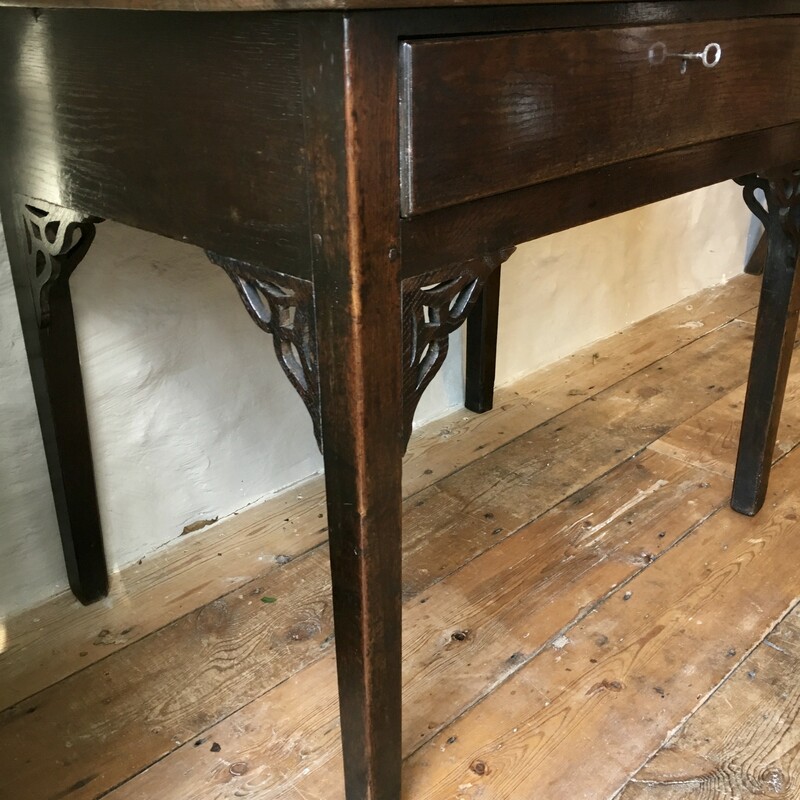 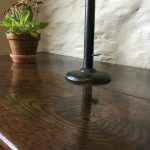 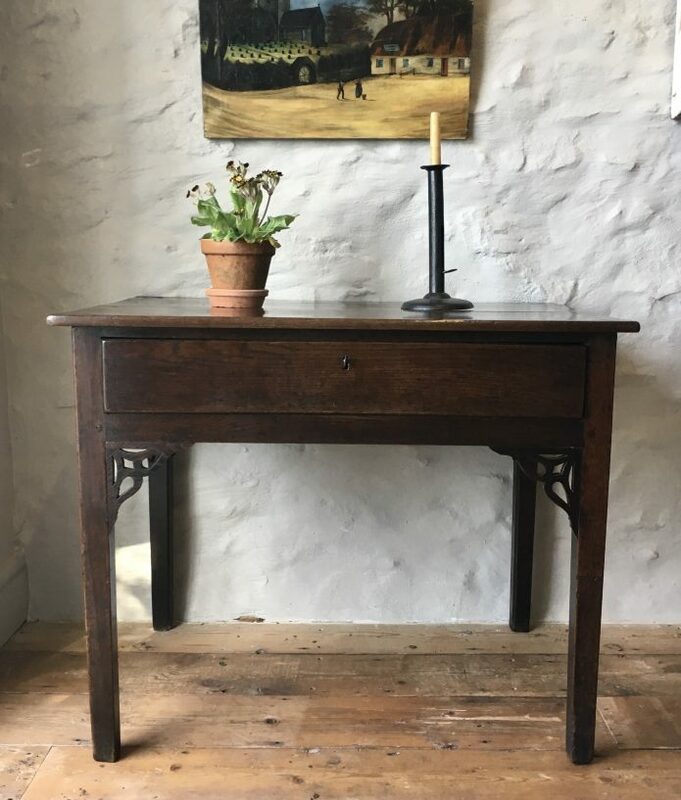 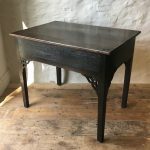 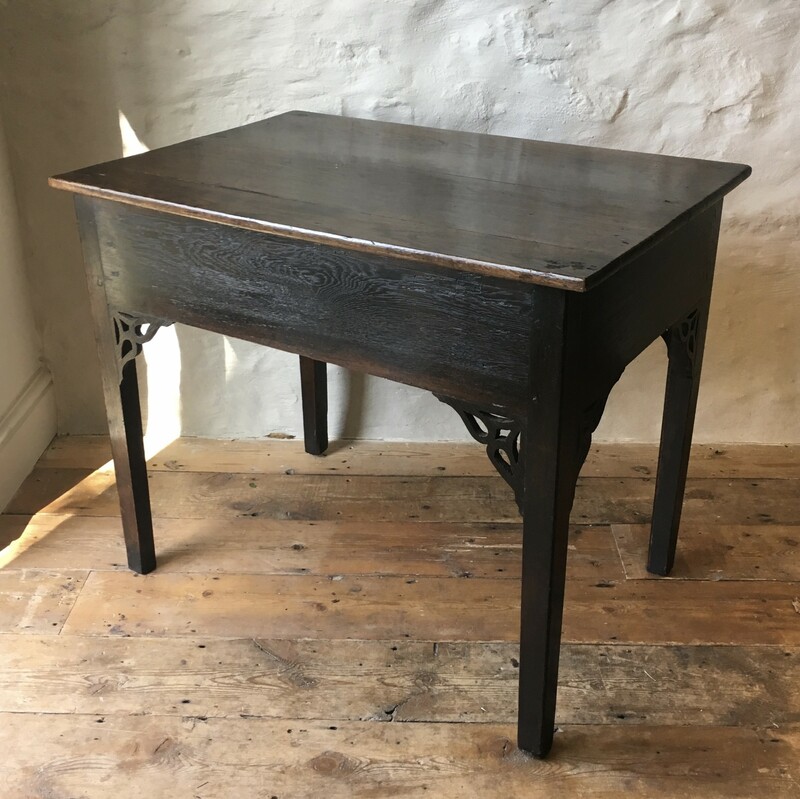 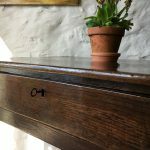 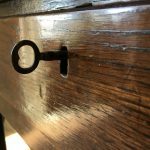 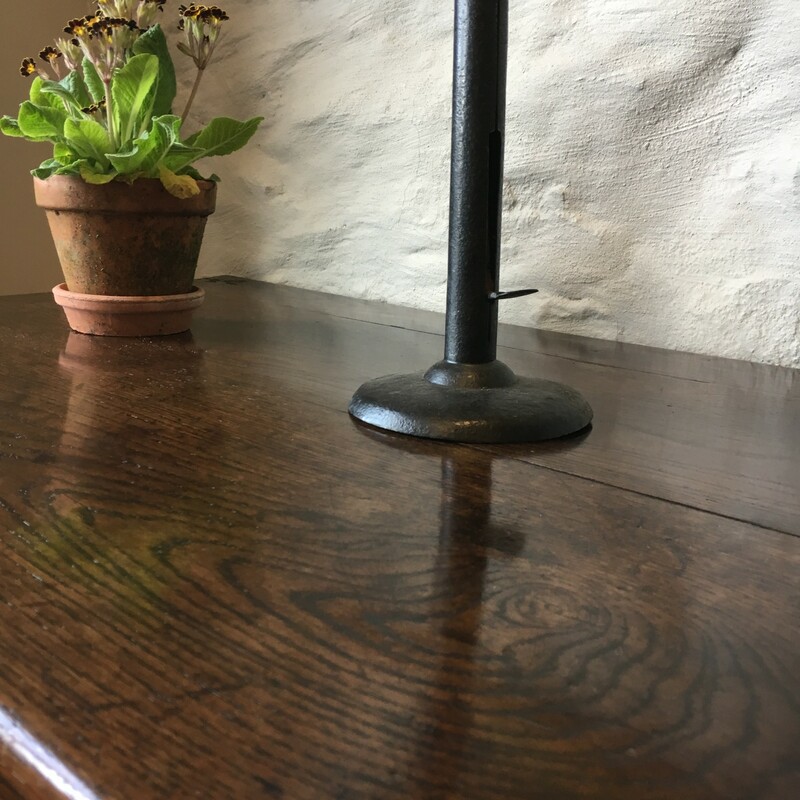 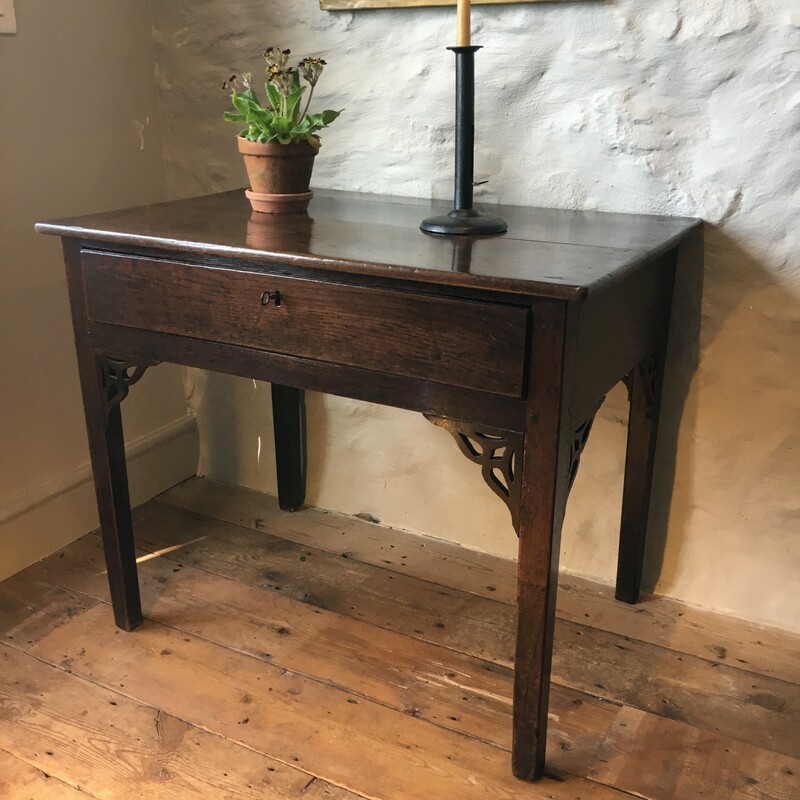 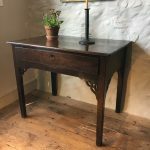 A wonderful Welsh oak side (or centre) table It has a single drawer with no handles, you open the drawer with the key. 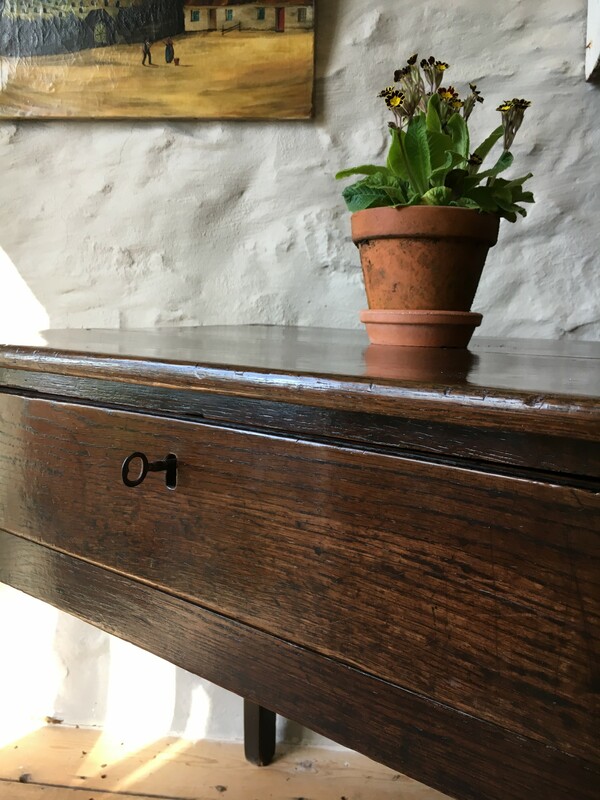 The lack of handles is not an unusual occurrence on some furniture from West Wales, chest of drawers, linen presses and dressers are known, the drawers are opened by reaching beneath the drawer frieze and pulling the drawer out or by using the key.It has beautiful pierced and carved spandrels in each corner including the back – it is possible that it was intended to sit in the middle of a room as a centre table. It has a lovely rich colour and is in very good order with just some of the spandrels replaced at some time.